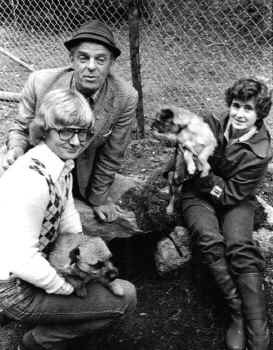 Left Border Terrier Club earthdog Championship trials in 1978, Lisa was second while her sister's descendant Darius won, here with his owner Tomas Larsson of Ottercap. Right Lisa placed third at a Utility Dog Club trial where she was the only participant smaller than a Boxer. 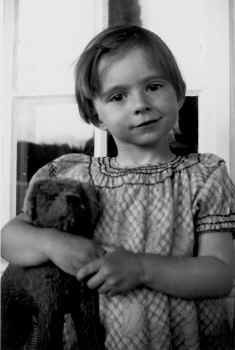 Although our family has kept Terriers and Dachshunds as long as memory can tell, it was thanks to Åsa's mother Helena Becker that the Border Terrier was introduced to us. Juniper Klio, "Lisa", was born in 1971 in the remote cousin Julia Geijer's kennel. Expected to become a family member only, she ended up a highly merited obedience, utility and tracking dog, and also - with very little training - successful in earthdiog trials. 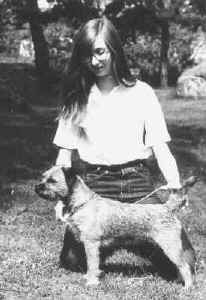 We never bred from her, but her sisters Int o Nord U Ch Juniper Klissandra and Juniper Klinta as well as her mother GB and Nord U Ch Mansergh Rhosmerholme Amethyst can be found in the pedigrees of many Swedish Border Terriers today. She was a wonderful guide to the correct Border Terrier temperament, combining the companionship of the family pet with a super working ability. 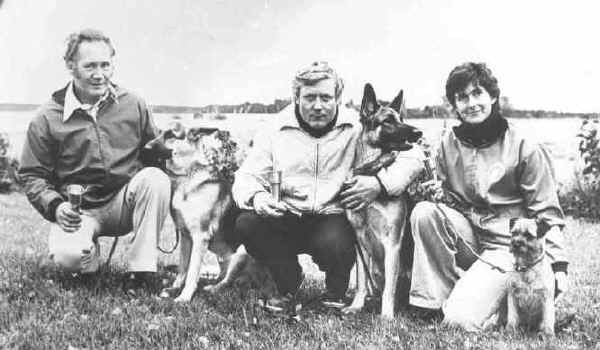 1976 Juniper Pyssimanda "Pyssi" arrived in the family as Åsa's first own dog. 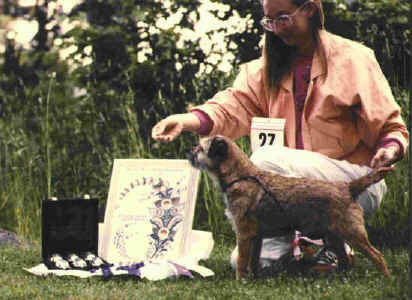 She won her show Champion title at 14 months (this was possible under the rules of that time), was awarded prizes in obedience and tracking, and showed earthdog working ability.Pyssi had a single puppy, Swedish and Finnish show Ch Sagimus Raggata, and circumstances did not allow the line to continue. During my years at university and as a toddler mum, the Borders in our family - a further two from Juniper - were family pets, mainly living with Helena but frequent visitors in our house and companions at many excursions in the forest. In 1997, there was finally room for an active and first-hand Border Terrier ownershop again. Maja, Ottercap Magic Pie, brought back the "traditional" type and temperament we were looking for. In 2001 Carolyn Fry entrusted us with a male puppy Spock, Bedeslea Springbok, who contributed many important and classic Border traits that can still be found in his descendants, especially well constructed fronts. One of these descendants is Philippa, Stömyra Philippa Jackson, the dam of Athos (Dån) and Trixa. We are very pleased to be able to continue our bloodline by an almost-tail-female line detouring via Trixa's sire Ch Sagimus Trick who lives in Germany. Åsa with Juniper Borders in the 1970s, showing for Bertha Sullivan. The sentimental part of kennel history: left Helena in 1933 with her constant companion Napoleon who just may have imprinted her on the Border look. He presently lives with Åsa's daughter Elsa, his coat is a bit thin nowadays but otherwise he is healthy enough. 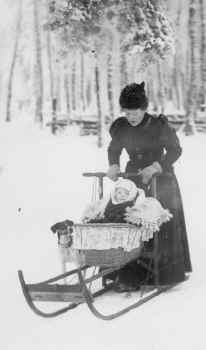 Right Helena's grandmother Nina appr 1900 with one of the family's Fox terriers.